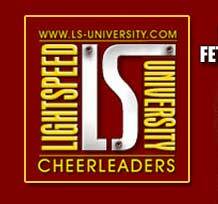 Sign up for Lightspeed University site now and take advantage of Lightspeed's newest money-saving offer! Buy several sites in one membership and save big! This is the first time offered on the web for as little as $4 per site! Plus keep your favorites and replace the rest once every month! Over 30 of Lightspeed's most popular sites to choose from in this incredible offer! Join now!